Colorado’s Best Backpacking Trips in The Colorado’s Flat Top Wilderness Area – Get away from the crowds and experience solitude and wilderness. Expand your Colorado backpacking horizon! Colorado has many amazing outdoor and wilderness gems, but the Flat Top Wilderness Area, located in White River National Forest is truly a gem. The Flat Top Wilderness Area is Colorado’s 2nd largest wilderness, designated in 1975 by Congress, is arguably one of the states best and most secluded wilderness experiences. The Flat Top’s offers amazing backpacking and mult-iday wilderness experiences from 3 days to more than 10 days. 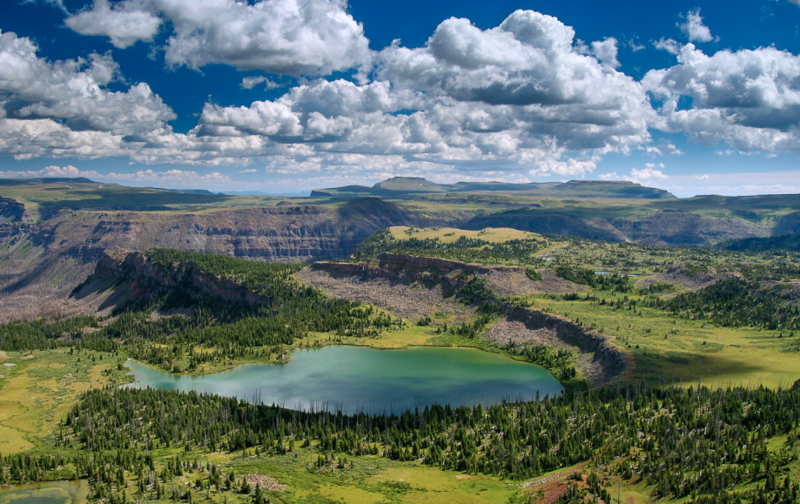 Situated between 8,000’ – 12,000’, the Flat Tops are a combination of large lakes, pristine rivers, high plateau mountains, and amazing scenery. The Flat Tops wilderness also offers anglers Colorado’s best fly fishing for ribbon cutthroat trout in high alpine lakes and streams for avid anglers or those learning the art of craft of fly fishing. In 2017, we received a new permit for backpacking, hiking, and fly fishing in the Flat Top Wilderness (and Mountain Biking – White River National Forest) and have created many great 3-14 days multi-day wilderness experiences that are sure to be trips of a lifetime! Hikers in Flat Top Wilderness Area Colorado ascending a trail on a guided Colorado hiking trip. 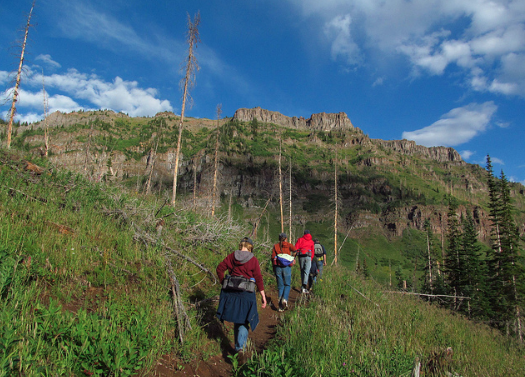 Come backpack or have a multi-day hike or fly fish in the Flat Top Wilderness Area and White River National Forest! Contact us for exciting, unique, and custom / private 2017 trip options. Explore the outdoor town of Meeker Colorado, Hike the Devils Causeway, Fly Fish the White River, Improve your Angling skills in Trappers Lake, Backpack or Multi-day hike in the Flat Top Wilderness Area, Mountain Bike White River National Forest, Raft the Upper Colorado River, and explore Colorado’s 2nd largest wilderness area! 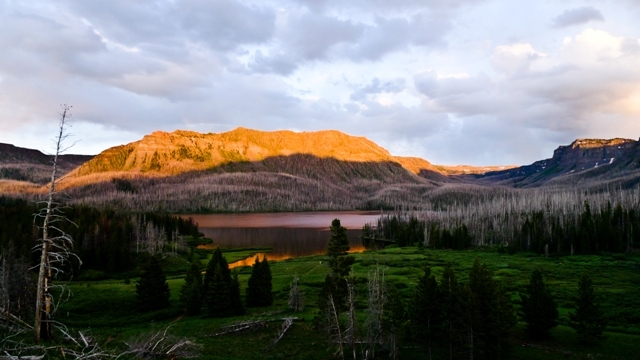 Lake at sunset with mountain alpine glow in the Flat Top Wilderness Area.